Roylston House has an extensive collection of vinyls with over 15 different ranges sourced from Italy and the US. The collection combines innovative technology with imagination to achieve a new twist. They encompass the look and feel of real leather and suede, with braided and embossed textures. Also included are decorative metallics, faux goanna and ostrich plus many other finishes. 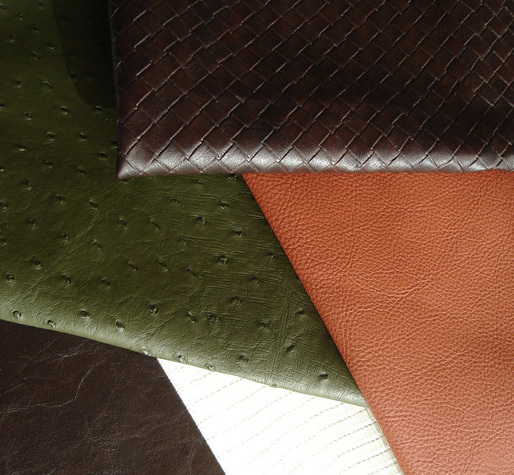 Ultraleather® is perfect for situations where the look and feel of leather is desirable, but where you need a more durable and practical alternative. Formulated with high-tech strengthening components for longevity, its exceptional durability and effortless cleaning, make it ideal for high wear applications. Ultraleather is available in 70 colours. It is suitable for recreation, marine, residential, dental, hospitality, office, automotive, aviation and healthcare situations. Brisa® Outdoor is part of the Ultra Leather Collection, gives you a breathable polyurethane surface engineered for solar endurance. Its soft, supple hand, along with its unique ability to stay cool and resist fading over extended periods of sunlight, make this the perfect choice for applications anywhere under the sun.